Airports drain your battery, wallet, and patience. Raden Smart Luggage helps alleviate all three with a built in charger, scale, and GPS. 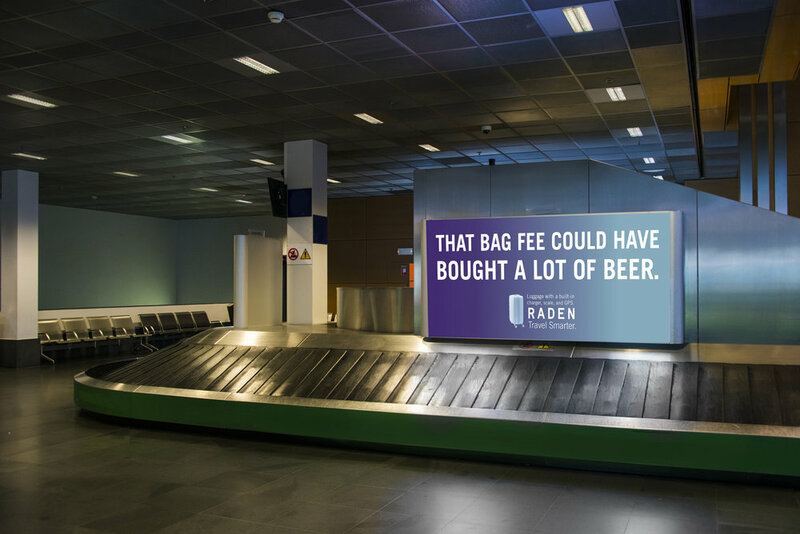 Luckily for Raden, there are many ways to get in front of a traveler at the airport. Including placement at the biggest culprit of battery loss, the wifi connection page. 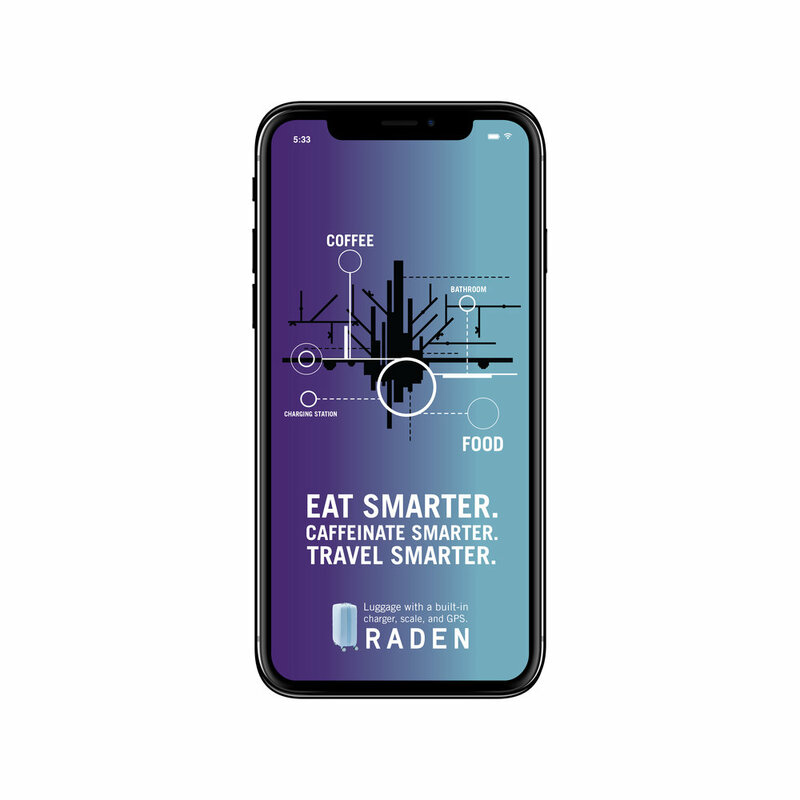 Raden already has an app for its users, with weather and travel details. 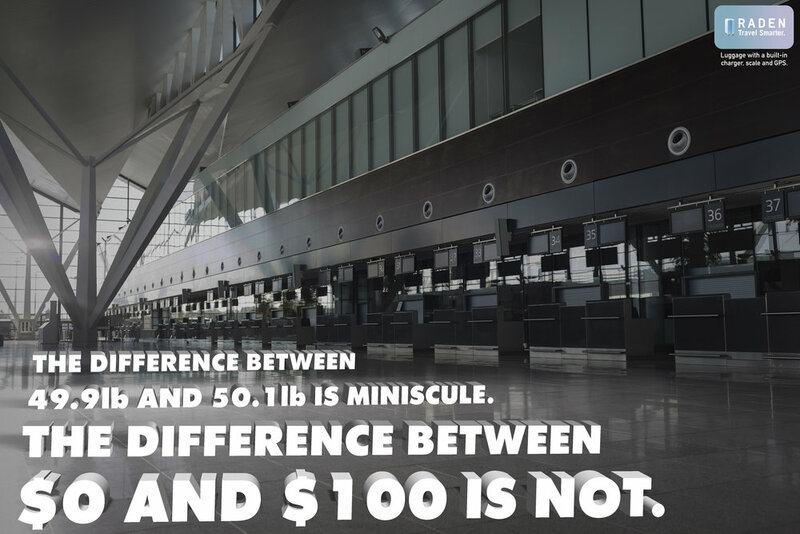 We can also make their stay at the airport more convenient, by giving them a map of the essentials close to their gate.